As a top freight management services and third party logistics company, Cerasis is well equipped with powerful knowledge on freight claims management to impart upon North American Shippers in this educational online webinar. In the business of freight management since 1997, at Cerasis we have processed and managed more than 10,000 freight claims on behalf of our shipper customers, making us well equipped to share this knowledge with other shippers. Cerasis Inc., a North American freight management company and 3PL, announces that their “Knowledge is Power” Freight Claims Management Webinar is now open for registrations by shippers of all sizes. Cerasis will present educational material covering all things freight claims on June 19th at 10:30 AM CST. Shippers are able to register by going to this registration site. The Latin phrase "Ipsa Scientia Potestas" Est may be the most quoted maxim of our information age—Knowledge is Power. 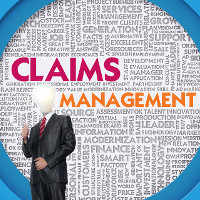 One unsung area where properly applied knowledge yields power is comprehensive freight claims management. An old joke asks, “What’s the easiest way to be a millionaire?” The answer: “First, get a million dollars.” So what’s the easiest way to manage your claims? First, get knowledge. Cerasis, a top 3PL focusing on LTL, with a web-based TMS and transportation managed services, such as freight claims management, is well equipped to put on this webinar & empower North American shippers with knowledge on freight claims. The Cerasis freight claims management team instructs shippers on how to first understand freight claims, damage, & loss and then files the freight claim on the shippers’ behalves, following up with both carriers and shippers until the claim is satisfied. In fact, all of our freight claims managers, are certified through the Institute of Logistical Management by passing their extensive freight claims course. This educational webinar is perfect for North American shippers who are interested in either managing freight claims better or looking to an outsourced provider to drive value in the area of freight management and take the entire burden of freight claims off their shoulders. Shippers can easily register by following this link https://www1.gotomeeting.com/register/568276352. Process all freight claims from beginning to end. Work as a liaison on behalf of our customer, working with our carrier partners and providing transparent communication throughout the entire freight claims process. Provide proactive education to shippers, consignees, and carriers to decrease future freight claims by empowering all parties with the knowledge of what a freight claim is, how to avoid future damage, and ensure freight claims are resolved. Keep all parties compliant by following all policies and regulations of customers, carriers, and industry standards. Process checks and ensure all parties are paid in a timely manner when a claim is resolved. Proactively follow up on claims status to resolve them within the 90-day freight claims window. Educate all parties in the case of a denied claim. Offer freight claims expertise, taking the burden and anxiety away from our customers when it comes to freight claims due to the thousands of processed claims and man hours put into proper freight claims management. Join Cerasis as they provide this free webinar to give more knowledge, and thus more power and control, over the freight claims management aspect of a shippers’ business.